Enter the mind of the dragon. Join Andy Kerimov, small-town teenager and lightning-strike survivor, as he is unwittingly transported to the faraway realm of Ilanta. 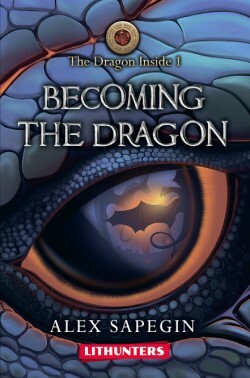 There he encounters both human and fantastical beings, to ensure his survival, he takes part in an ancient ritual to become a dragon and ultimately he’ll find himself a key player in an interplanetary war. With two hearts beating in a freshly scale-clad chest, and two mighty wings on his back, will Andy be able to hold onto his humanity while preparing to help rescue his new world from the brink of destruction?